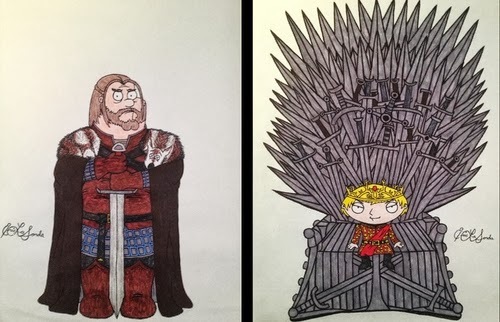 Very good Mashup of two very popular TV series, Family Guy and Game of Thrones, by timburtongameofthrone. If you have watched both television programs you will appreciate how perfectly the two are paired up. 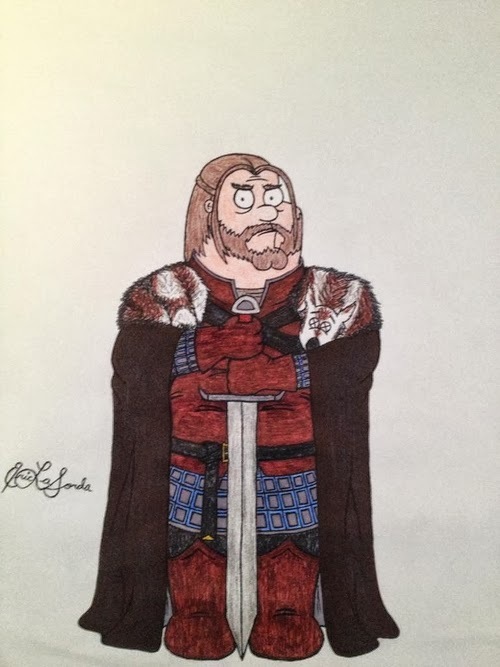 Peter Griffin and Eddard (Ned) Stark. 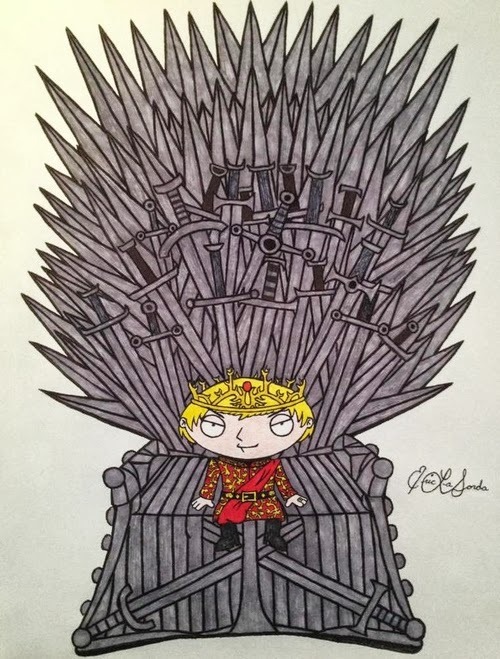 Stewie Griffin and Joffrey Baratheon. 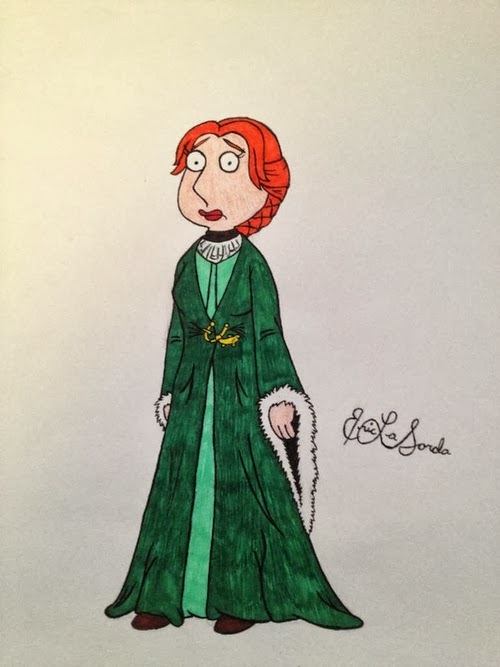 Lois Griffin and Catelyn Stark. 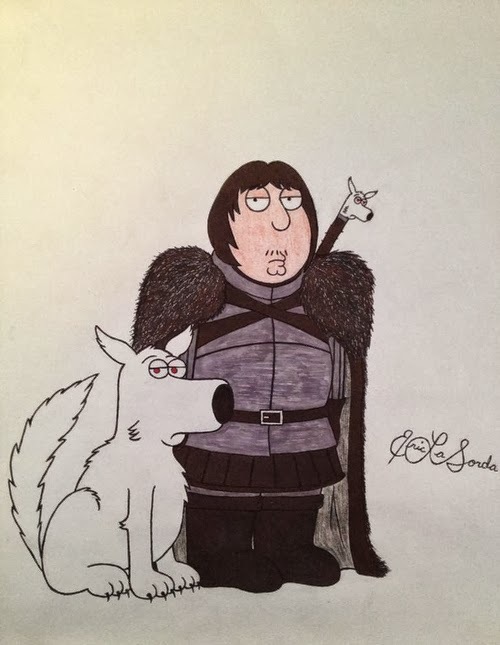 Brian Griffin - Chris Griffin and Jon Snow - Ghost. 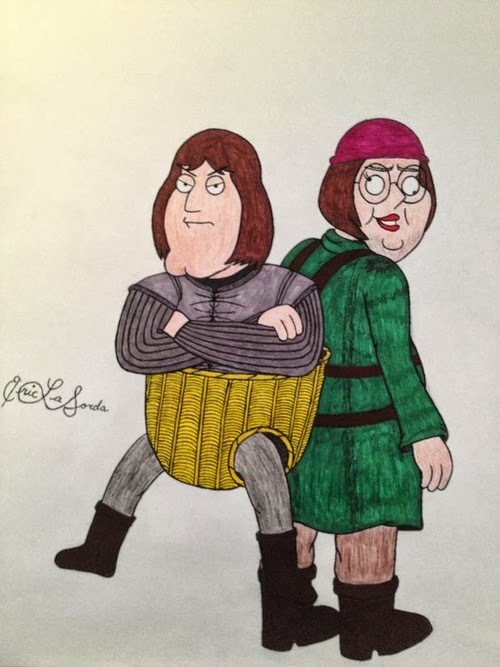 Joe Swanson - Meg Griffin and Bran Stark - Hodor. Carter Pewterschmidt and Tywin Lannister. 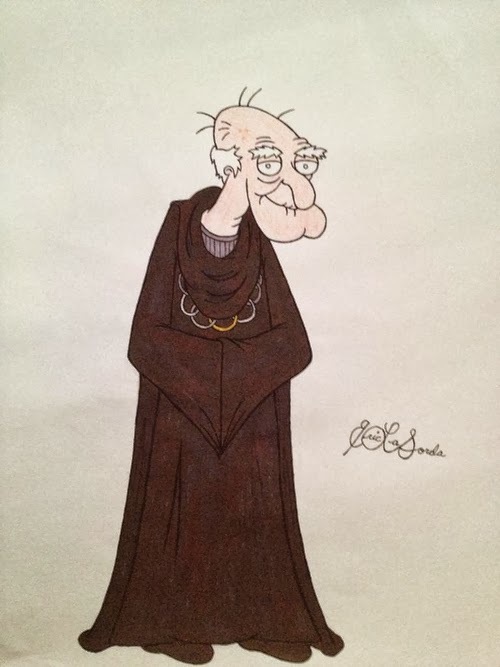 Glenn Quagmire and Theon Greyjoy. 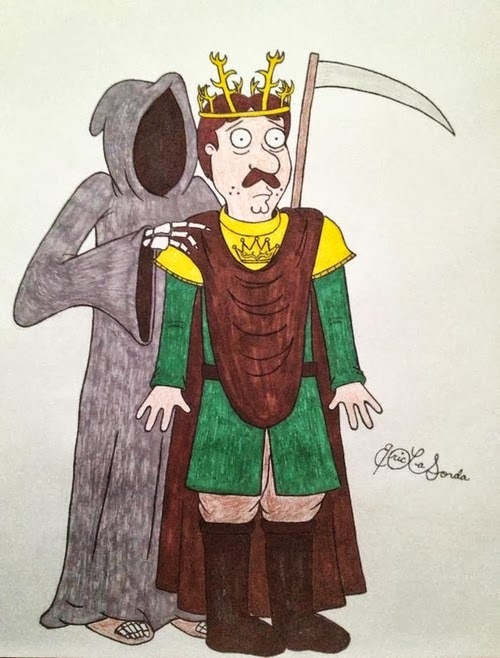 Bruce - Death and Renly Baratheon. 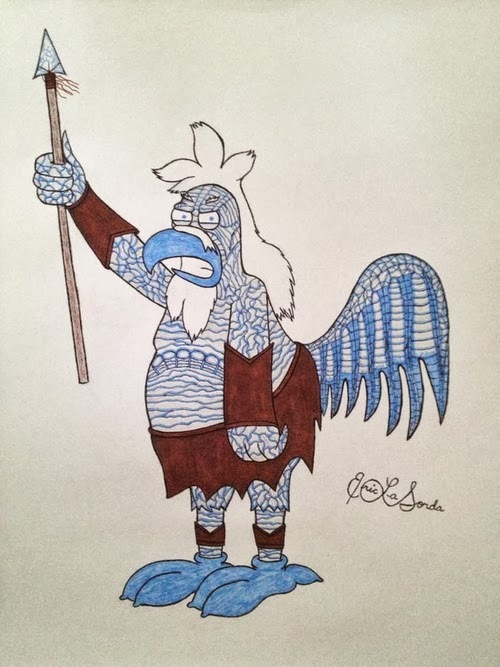 The Chicken and the White Walker. 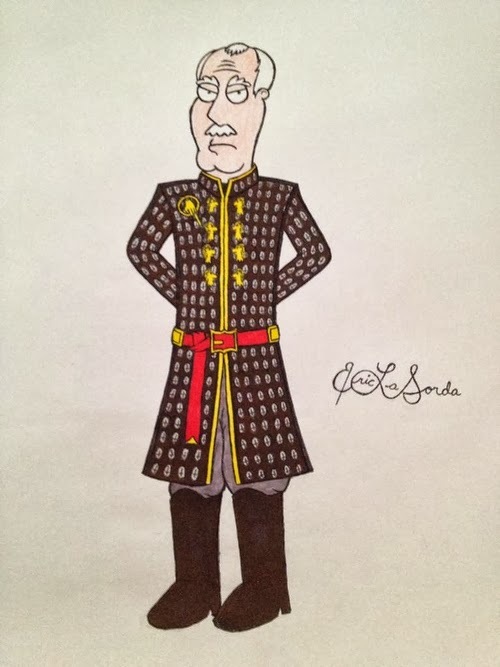 John Herbert and Aemon Targaryen. 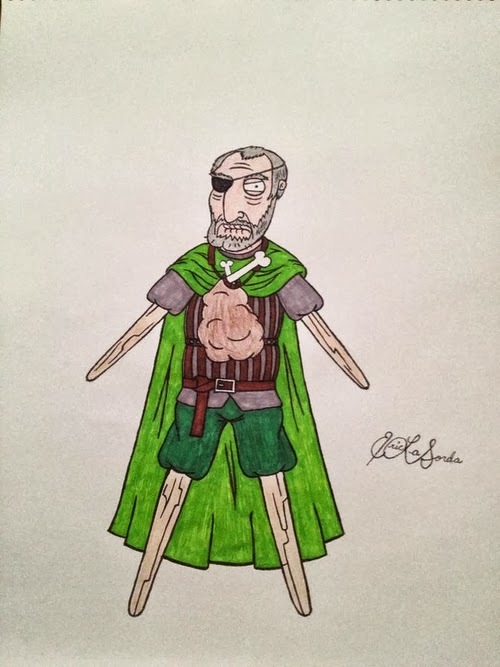 Seamus Levine and Beric Dondarrion. 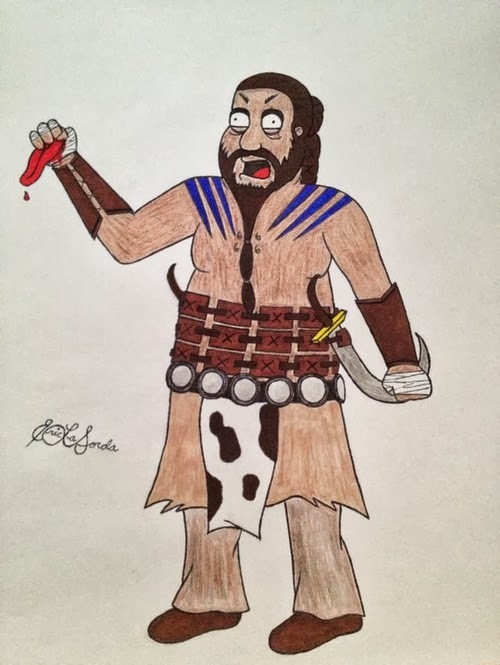 Cleveland Brown and Khal Drogo.